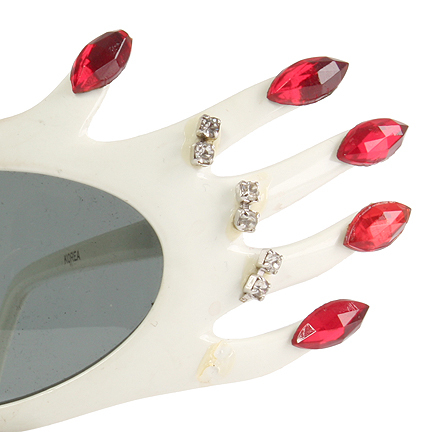 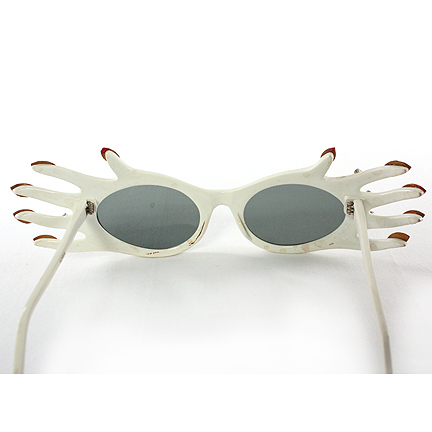 This pair of sun glasses was worn and used by “Rita Rizzoli”, played by Whoopi Goldberg in the 1987 Action Comedy “Fatal Beauty.” The glasses are made of plastic and shaped as hands, with mini faux-diamonds, and nails with red faux-jewels. 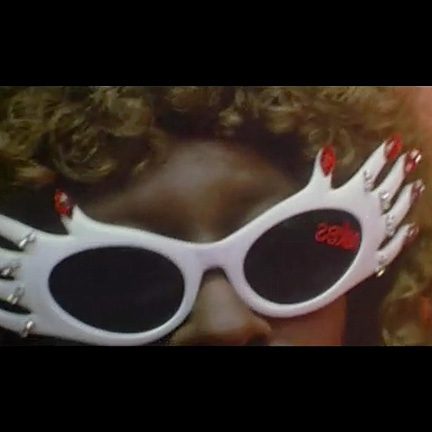 These glasses can be seen worn when Rita works undercover, about halfway through the film, as she infiltrates a drug “buy” house. 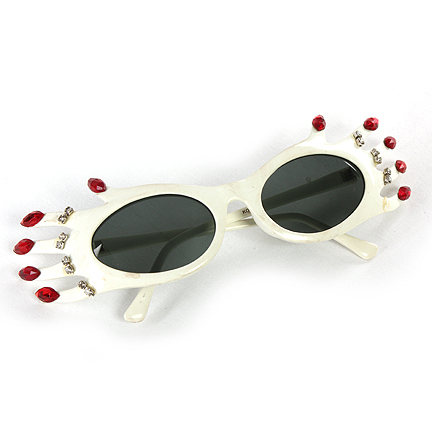 She wears these glasses amongst her elaborate outfit, which includes a large wig and gold jacket with black polka dots. 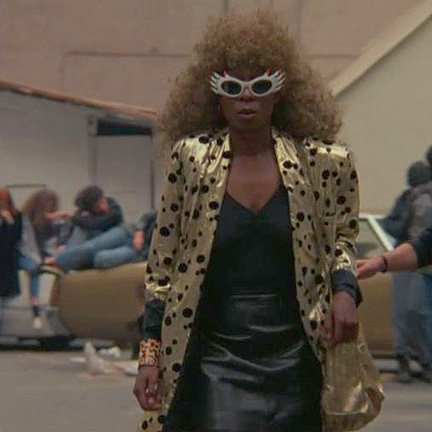 The film also stars Sam Elliot as “Mark Marshak,” who helps Rita during a shootout at the drug house. 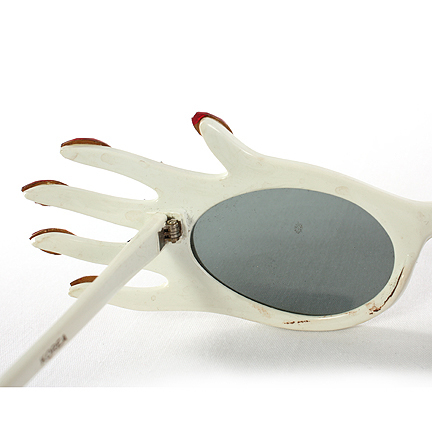 The prop is in good screen used condition with minor evidence of wear from its use in sequences and is accompanied by a letter of authenticity.